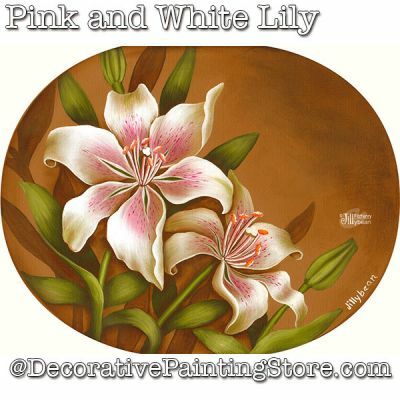 Lily painted on 13-3/4x17-1/4 inch canvas placemat or your choice of surface. DecoArt Traditions and Americanas Acrylic Paints. Pattern includes photos, text instructions, step-by-step illustrations, line drawing to trace.